SUPERSTAR LADY GAGA MAKES TWO-YEAR DEAL WITH PARK THEATER: Six-time Grammy Award-winner, Golden Globe Award-winner and Academy Award-nominee superstar entertainer Lady Gaga is well worth the wait. She will bring her talent and creativity to the 5,300-seat Park Theater at Park MGM beginning in December 2018, which will launch a two-year, multi-date residency following a year that will included a Super Bowl performance and sold-out tour. Gaga’s performance dates and ticket information will be announced in the coming months. A STAR WARS EXPERIENCE WILL OPEN AT GRAND CANAL SHOPPES: The VOID has plans to open two new VOID Experience Centers™ (VECs) in partnership with retail real estate company GGP Inc. in early 2018. One will be located at the Grand Canal Shoppes at The Venetian® and The Palazzo®. Each new VEC will feature the critically acclaimed hyper-reality experience “Star Wars™: Secrets of the Empire,” which allows up to four players to immerse themselves in the world of “Star Wars,” complete with customized VR headsets and a stage with walls, doors and props that can be explored without being tethered to a computer. 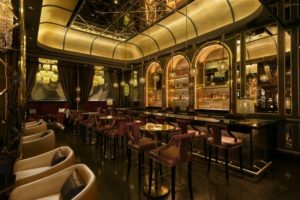 ROSINA IS NEW COCKTAIL RETREAT AT THE PALAZZO: The new elegant and luxurious Rosina refined cocktail retreat is open now at The Palazzo® off the casino. The intimate setting features a stunning façade of solid brass molding and custom-shaped glass resembling a faceted jewelry box. The 1,100-square foot bar offers classic luxury while the décor pops with opulent crystal chandeliers hanging above rich maroon u-shaped banquettes found on each side of the bar, as well as high-top tables with rich burgundy chairs punctuated and small cocktail tables paired with pearl colored leather chairs spread throughout the lounge area. Rosina’s most innovative feature is a “Champagne Call Button” to top off a patron’s flute. ‘THE VOICE: NEON DREAMS’ WILL BE A LAS VEGAS PRODUCTION: A cast of past contestants will be the headliners in “The Voice: Neon Dreams” when it opens in Las Vegas. 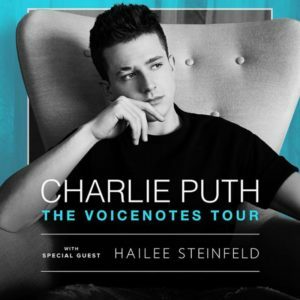 The innovative concert experience will be the continuation of the musical journey for some of the show’s hottest contestants, bringing fans up-close to their favorite performers and right into the world of “The Voice,” allowing them, through an interactive pre-show experience, to take the first steps on their very own “Voice” journey. The show’s all-star cast of vocalists will be led by season 10 winner Alisan Porter and feature Chris Mann (season two), Mary Sarah (season 10), Matthew Schuler (season five), and Matt McAndrew (season seven). 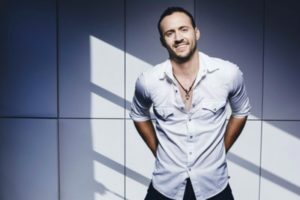 They will be joined by future winners of “The Voice” and backed by a versatile band led by Michael Sanchez (season 11) that collectively plays more than 50 instruments. “The Voice: Neon Dreams” will be performed Sunday through Wednesday at 8 p.m. with 7 p.m. and 9:30 p.m. shows Friday and Saturday in a custom built, state of the art venue. Tickets will start at $42. WYNN RESORTS BUYS MORE LAND ON THE STRIP FOR DEVELOPMENT: Wynn Resorts is purchasing about 38 acres of land on the Las Vegas Strip directly across from the Wynn Las Vegas. The purchase includes the former New Frontier’s 34 acre site as well as four additional acres connected to the site for $336 million. 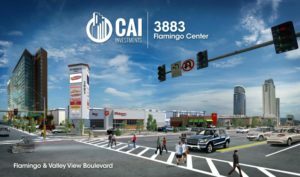 CAI INVESTMENTS IS BUILDING MULTI-PURPOSE DEVELOPMENT PROJECT: CAI Investments is building a new multi-million dollar development project, 3883 Flamingo Center LLC, scheduled to open mid-2018. 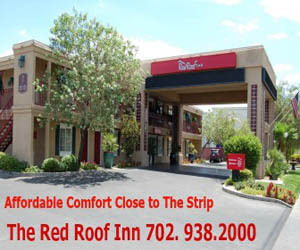 The location is next door and east of the Palms and across the street from the Gold Coast. The project rendering shows plans to develop five pad sites totaling approximately 27,000 square feet of retail and restaurant space. Confirmed tenants include national brands including but not limited to Walgreens, Denny’s, Del Taco and Wahoo’s Fish Tacos. The project site will also include a national hotel brand and multi-family housing, which will be in production in the upcoming months. 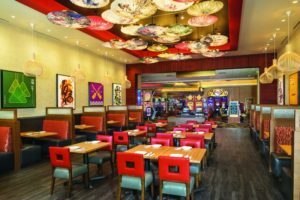 TROPICANA AND SUNCOAST HIGHLIGHT ASIAN DINING: Located off of the casino floor, the Tropicana will soon debut an all-new restaurant concept, Red Lotus Asian Kitchen, early in 2018 featuring an approachable Asian-inspired menu offering lunch and dinner as well as grab-and-go options. The newest dining experience at the Suncoast is Peng Zu showcasing Asian favorites in a contemporary atmosphere evoking the casual noodle shops of Hong Kong and Shanghai. Suspended overhead are 50 authentic, screen-printed parasols from China converted into an eye-catching ceiling feature. Founded on the legend of Peng Zu who lived in China 800 years ago, the restaurant serves a signature soup as well as dinner specialties prepared fresh to order. Peng Zu serves dinner daily beginning at 4 p.m.
MGM GRAND PARTNERS WITH UNIKRN TO HOST ESPORTS TOURNAMENTS: The eSports brand Unikrn has announced a partnership with MGM Resorts International to bring live competitive gaming and eSports tournaments to Level Up, which opened in December 2016 between Hakkasan Nightclub and the MGM Grand Race & Sports Book. In 2018, Unikrn will host tournaments on Fridays and Saturdays from 4 p.m. to 10 p.m. Each tournament will offer competitors prizes including cash and UnikoinGold tokens, among others, as well as exclusive experiences at select MGM Resorts properties. WET’N’WILD HOSTS CHRISTMAS TOWN: Las Vegas Christmas Town hosted by Wet’n’Wild is open through Sunday, Dec. 31 from 5:30 to 9 p.m. Sunday-Thursday and 10 p.m. Friday and Saturday. 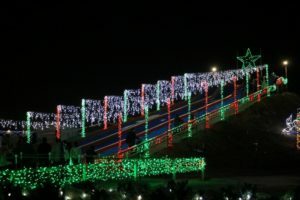 Some highlights include: a 40-passenger Polar Express Train Ride; “Let It Snow” light show and nightly snowfalls; sliding down a 100-foot snow hill on an inner tube; a 40-foot tall Merry Magic Tree; 120 holiday light displays; 100-foot light tunnel; photos with Santa, etc. Tickets are $20. 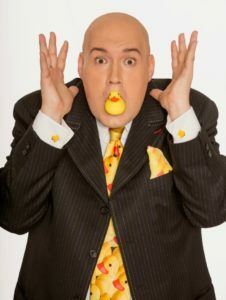 COMEDY MAGICIAN ADAM LONDON CELEBRATES FIVE YEARS AT THE D: Comedy magician Adam London’s “Laughternoon” will celebrate its five-year anniversary at the D in January. The all-ages comedy-magic show fills the 4 p.m. afternoon slot daily. Tickets start at $19.95. To celebrate the milestone, London has decided to make 2018 a year of giving back to the community with the “I Give a Duck” celebration. London has chosen a different local charity or organization to donate to each month of the year starting Saturday, Jan. 13, which will be National Rubber Ducky Day. London’s “I Give a Duck” campaign will be the second Saturday of each month with proceeds from the day going to the designated organization. LAS VEGAS TWO BIGGEST OUTDOOR NYE CELEBRATIONS: America’s Party Downtown is the annual New Year’s Eve extravaganza at the Fremont Street Experience with non-stop live entertainment from 12 bands on four stages, onstage pyrotechnics, dancers and aerialists, a celebratory midnight toast by Las Vegas Mayor Carolyn Goodman and more. Downtown’s five-block entertainment district shuts down to create an epic private party. Pre-sale tickets start at $35. 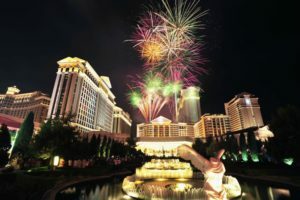 The Strip will be turned into a pedestrian mall on NYE for a gigantic block party with more than 330,000 anticipated revelers partying and watching the midnight fireworks display by Grucci, which will be shot from atop seven hotels. This show is free. Céline Dion at The Colosseum at Caesars Palace at 7:30 p.m.; Britney Spears at The AXIS at Planet Hollywood at 9 p.m.; Bruno Mars at Park Theatre at Monte Carlo; Maroon 5 at Mandalay Bay; punk band Pennywise at House of Blues; Drew Baldridge with guest Carter Winter at Stoney’s Rockin’ Country; and Kristen Chenoweth at The Smith Center. Iconic Hip Hop and R&B artists Ja Rule and Ashanti will partner up again on the Brooklyn Bowl stage on Sunday, Dec. 31 at 9:30 p.m. Advanced general admission tickets are $75 and $85 day-of-show are for standing room only. If you want to skip the Strip action, there’s an intimate evening of dining, drinking and dancing at “Pia’s Place” inside Piero’s. Pia Zadora, Sonny Charles and her band will perform classics and standards from the American Songbook. Dinner service starts at 5:30 p.m. and the party goes from 9 p.m. to 1 a.m. with a two-drink minimum in “Pia’s Place.” Plates start at $65. Located in the Spanish Steps area of Caesars Palace, the Roman Plaza courtyard outside of “Absinthe,” will be transformed into a New Year’s Eve countdown celebration from 10 p.m. to 12:30 a.m. with premier fireworks views, all-you-care-to-drink premium beverage selections, space heaters, VIP seating areas and more. Packages are $99 and $149 for VIP. The Vortex at The LINQ will hold a party from 10:30 p.m. until 1 a.m. with fireworks views, DJ, dancing, late night bites and an open bar. Cost is $195. Another party 51 stories up will be held at the VooDoo Rooftop Nightclub at the Rio. The indoor/outdoor nightclub provides a panoramic view of fireworks across the city. A pod on the High Roller, the world’s tallest observation wheel, is an option for viewing the fireworks. Prices start at $150. The Eiffel Tower’s NYE package on the observation deck at Paris includes one-hour open bar, champagne toast at midnight, commemorative photo, event gift and a parking pass for $250. Beer Park at Paris will be in the heart of the fireworks show. Admission will start at $124. Another place in the middle of the action will be Margaritaville’s patio at the Flamingo. This party with an open bar is $99 for the main floor and $199 for the second and third floors. In addition to viewing the fireworks, Omnia’s Rooftop nightclub at Caesars Palace will have Calvin Harris doing the deejay honors. Prices start at $125 for ladies; $200 for gents. The rooftop view from Drai’s Beachclub Nightclub atop The Cromwell will be a prime viewing spot. Prices start at $125 for ladies; $175 for gents. The Vortex is located on the balcony over The LINQ Promenade entrance at The LINQ. The party on the Strip-facing patio will go from 10:30 p.m. to 1 a.m. There will be snacks, an open bar, DJ, party favors and go-go dancers for $215.23. Cabo Wabo Cantina at the Miracle Mile Shops at Planet Hollywood is throwing a Strip-side patio party with all-you-can-drink beverage packages with general admission prices starting at $200. It may be further off the Strip; however, the view at One Six Sky Lounge atop of the Eastside Cannery is noteworthy. 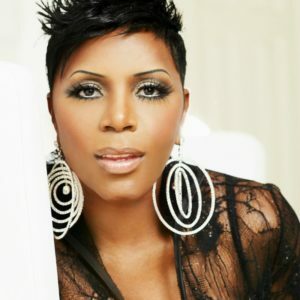 The party there will highlight R&B vocal group Next Movement at 10 p.m. and DJ Deniro. Tickets start at $60. Vegas Super Band, formed in 2010 and appearing at venues around the valley, will bring top hits and dancing as they count down to the new year at the Suncoast Showroom on Sunday, Dec. 31. Tickets start at $37. 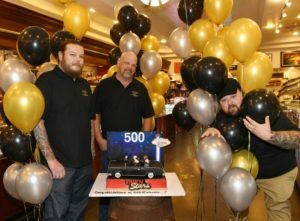 ‘PAWN STARS’ HITS 500TH EPISODE MILESTONE: History channel’s “Pawn Stars” will celebrate its 500th episode with back-to-back programs premiering on Monday, Jan. 22 at 10p.m. ET/PT. The Harrison family’s Gold and Silver Pawn shop on Las Vegas Blvd. is the modern day mecca for people in need of quick cash. Three generations of Harrison men clash with friendly camaraderie over items from classic cars to masterpiece artwork and everything in between. The show has made stars of three generations of Harrison men – patriarch “Old Man” Richard, son Rick, and his son Corey “Big Hoss” plus his childhood friend Chumlee. ‘HOLIDAY HANGOVER’ RETURNS AT HOUSE OF BLUES: Even though the holidays will be over, the House of Blues will hold its annual Holiday Hangover event on Saturday, Jan. 6 with parties in House of Blues Restaurant & Bar, Music Hall, and Foundation Room. This ’90s themed soiree features live music and DJs, all-you-can-drink packages, specialty cocktails, and more. Guests are encouraged to rock costumes or their favorite ugly sweater leftover from the holidays. The Music Hall will feature ’90s tribute band Saved By the ’90s, along with DJs BAD (Babae and Dynamixx) and opening act Garage Boys for a night of music. Doors open at 7 p.m. Tickets start at $10. The House of Blues Restaurant & Bar from 9 p.m. to midnight will have live music from Paul Campanella and $6 drink specials. The Foundation Room on the 63rd floor will be the location for the official Holiday Hangover after-party with DJ D-Miles. Ty Dolla $ign, the chart-topping hip-hop and R&B artist, now has an exclusive live residency at Drai’s Beachclub • Nightclub atop The Cromwell several times throughout 2018. The Taylor Gang crooner kicks off his residency on Jan. 14, followed with gigs Feb. 2 and March 2, plus additional dates to be announced. Beer Park at Paris will host a viewing party for the Ultimate Fighting Championship (UFC) 219 fight between Cris Cyborg and Holly “The Preacher’s Daughter” Holm at the T-Mobile Arena on Saturday, Dec. 30. Admission is $25. 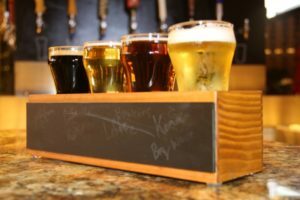 Beer Park at Paris will offer the “Data on Draft” beer flight exclusively during the Consumer Electronics Show (CES) Tuesday-Friday, Jan. 9 – 12. The $14 beer flight will feature six-ounce pours of four select craft brews, with options including Elysian-Space Dust IPA, Firestone-Pivo Pils, Golden Road, Kona-Big Wave, Shock Top-Sunset Orange and more. Partnering with leading Asian beauty house E&M Co., celebrity colorist Michael Boychuck is going global with exclusive “Enjoy Color” line of Korean hair treatment products launching in 2018. Boychuck’s COLOR Salon inside Caesars Palace will be the exclusive U.S. retailer carrying the international beauty line. Life Time Athletic Green Valley in Henderson will start the New Year with the sixth annual Commitment Day 5K from 10 a.m. to 1 p.m. on Monday, Jan. 1. The run will span the area surrounding Life Time with a festival of bites, beverages and more following on the outdoor pool deck. Registration is $35. Children may join in for free.